On March 6, the George L. Hess Educational Complex hosted the Spring Family Night at the Scholastic Book Fair event from 3:45 to 7:30 p.m. in the school lobby. Over 400 community members attended the event, which was organized by the Hess library staff, Rachel Husta, media specialist, Kristen Mulraney, media specialist and paraprofessional, Gina Johnson. During Family Night, students had the opportunity to win one of two raffle baskets which contained over $100 worth of books and prizes. The winners this year were Jason Vieth, grade 5, and Aiden Rivera-Steelman, grade 2. There was a dinosaur theme entitled “Stomp, Chomp and Read.” To promote the fair, students were asked to estimate the number of dinosaur eggs, aka jelly beans, that were in the guessing jar. The four students who guessed closest to the exact number of dinosaur eggs won a $5 gift certificate to the book fair. Free refreshments were provided by the Hamilton Township Education Association. The Book Fair offers specially priced books and educational products, including popular series, award winning titles, new releases, adult bestsellers and other great reads. There are also items such as pencils, erasers, journals and posters which the students love to buy with the change they receive from purchasing books. Book Fair customers also helped the school build classroom libraries by purchasing books through the Classroom Wish List program. 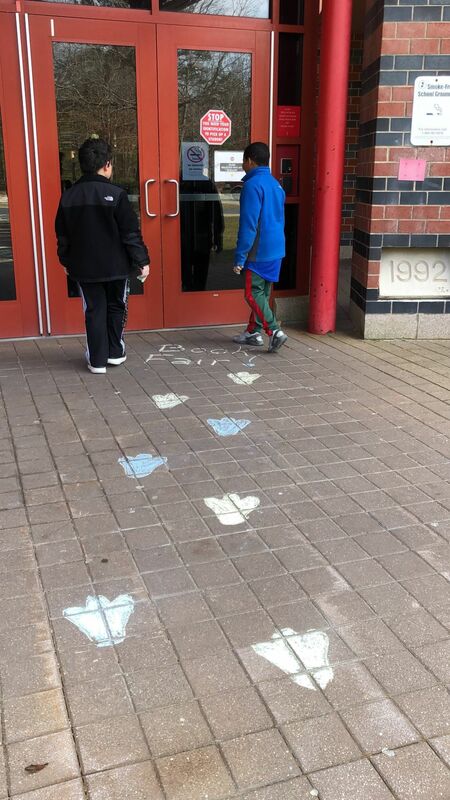 In addition, the Book Fair featured the All for Books program, where students can share the thrill of reading with others by donating loose change to purchase books from the Book Fair for the school library. Scholastic Book Fairs then matches those monetary donations with a donation of up to $1 million in books from the The Scholastic Possible Fund, which distributes books to children in need through organizations such as Kids in Distressed Situations, Inc. and the Kids in Need Foundation. “One of the things I like most about the Scholastic Book Fair is that it really brings so many people together for the same cause, to get children reading,” commented Mulraney. "Although the fair is organized by the library staff, they could not put on such a huge event without the help from their amazing parent volunteers who help each week in the library, as well as at the fair."